This six-cent U.S. stamp was issued in 1968 and commemorates the 100-year anniversary of the Benevolent and Protective Order of Elks and its youth programs. 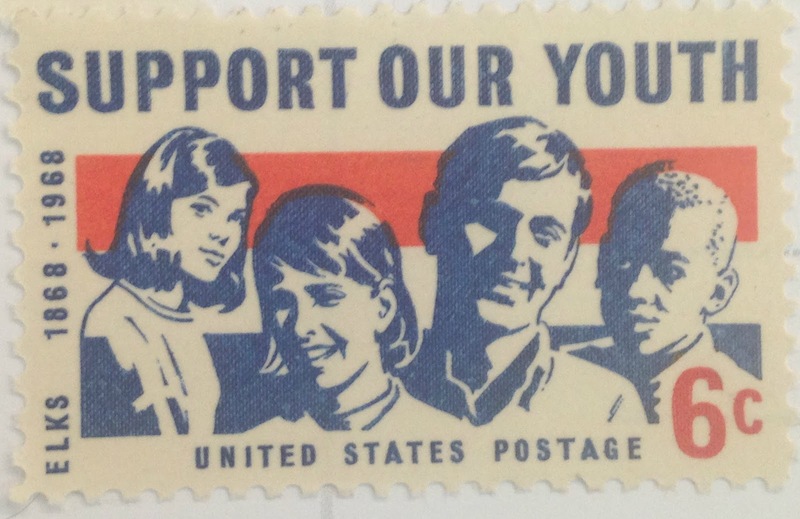 "The 6-cent Support Our Youth commemorative postage stamp was issued on May 1, 1968, at Chicago, Illinois, during National Youth Week, which was sponsored by the Benevolent and Protective Order of Elks. The stamp was available at other post offices as fast as manufacturing facilities permitted, but there was some delay. "In observance of its centennial that year, the BPOE extended its youth service program. One activity was a massive job hunt in some 2,100 communities to uncover summertime and part-time employment opportunities for young people. "The stamp was designed by Edward Vebell of Westport, Connecticut, and was issued in panes of fifty, with an initial printing of 120 million." Now, 47 years later, I'm using one of these stamps to send a York Fair postcard to a fellow Postcrossing user in Minden, Germany. Here's the perfect postcard for a Monday. 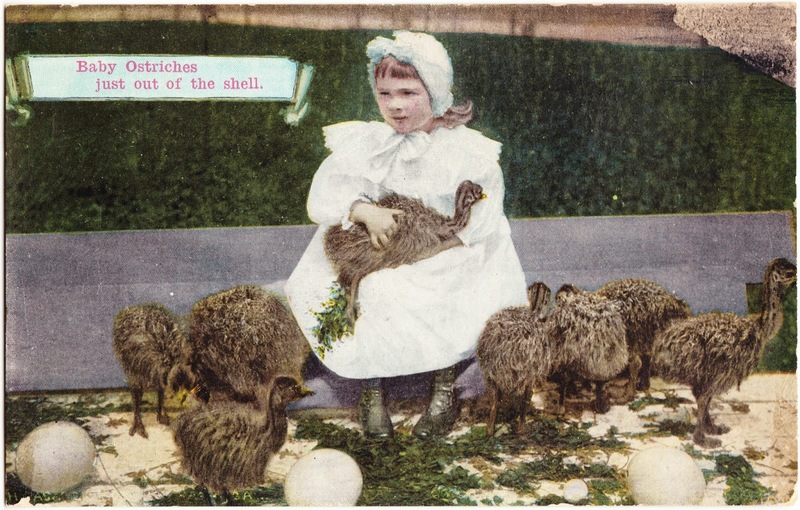 It's titled "Baby Ostriches just out of the shell." 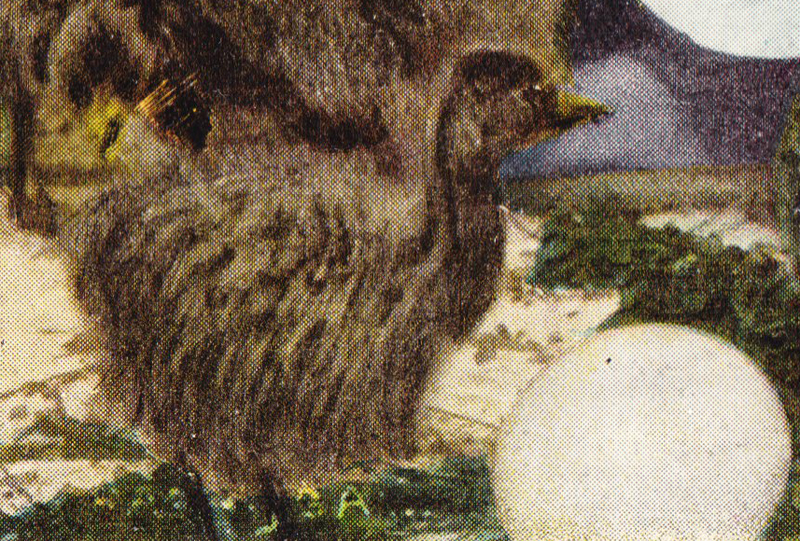 The postcard has a stamp from California's Cawston Ostrich Farm, which was in business from 1886 to 1935, on the back. I am sending you the little calendars now because they might do no good later on. Please give one to Miss Midgley. We were glad to get your letter but very sorry you have had such a hard time. Will write soon. The mocking birds have begun their spring songs. One of their"
The postcard was published by Newman Post Card Co. of Los Angeles and California and is labeled B15 On the Road of a Thousand Wonders. According to Metropostcard.com, Newman was in existence from 1907 until the 1960s. It was "a publisher and printer of postcards in tinted halftone, mostly views of southern California, with some cards of Hawaii and Nevada and the 1915 Panama Pacific Exposition. They were related to the O. Newman Company. Acquired by H.S. Crocker in the 1960’s." Let's take a Sunday night dive back 45 years — to September 1970, when Hillary Clinton was working on Joseph Duffey's U.S. Senate campaign, Bernie Sanders was months from beginning his political career as a member of the Liberty Union Party, and Bernie Taupin was crafting "Levon" for Elton John. 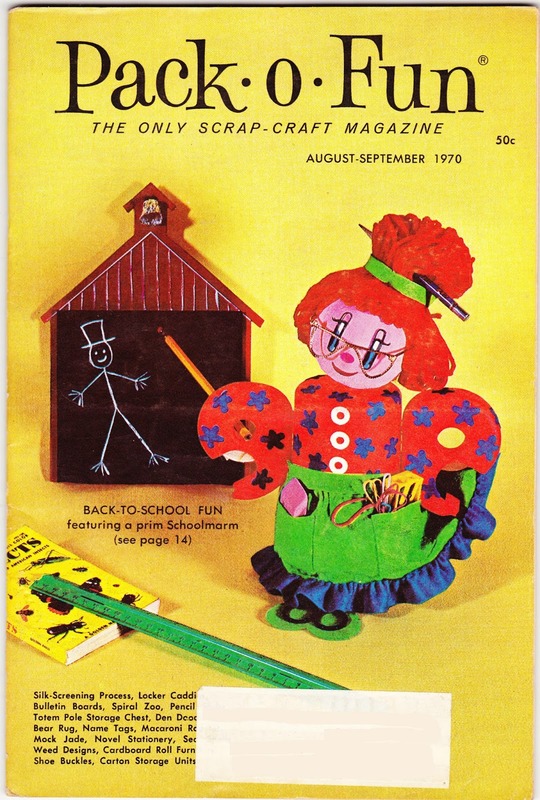 Featured tonight is the August/September 1970 issue of the "scrap-craft" magazine Pack-O-Fun1, which served as the Back to School issue. The article goes on to describe how the seeds and silk from a milkweed pod can make perfect owl eyes. Who ever thought stuff from the vacant lot could be so crafty? 2. Next comes "crafting with macaroni." 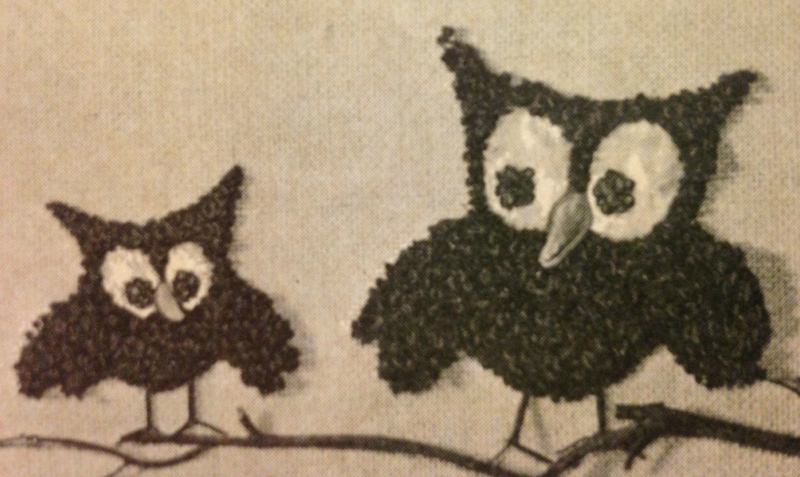 Remember when you made art projects using dried pasta, beans and/or seeds in elementary school? (Remember when the pieces of pasta would start to come unglued and end up in your backpack and on the kitchen floor?) Pack-o-Fun wanted home crafters to do the same thing, making a rooster suitable for hanging on the wall in the family room out of pasta shells, macaroni, spaghetti and rotoni. You could soak the macaroni in water for 30 minutes to get curvy tail feathers! 3. 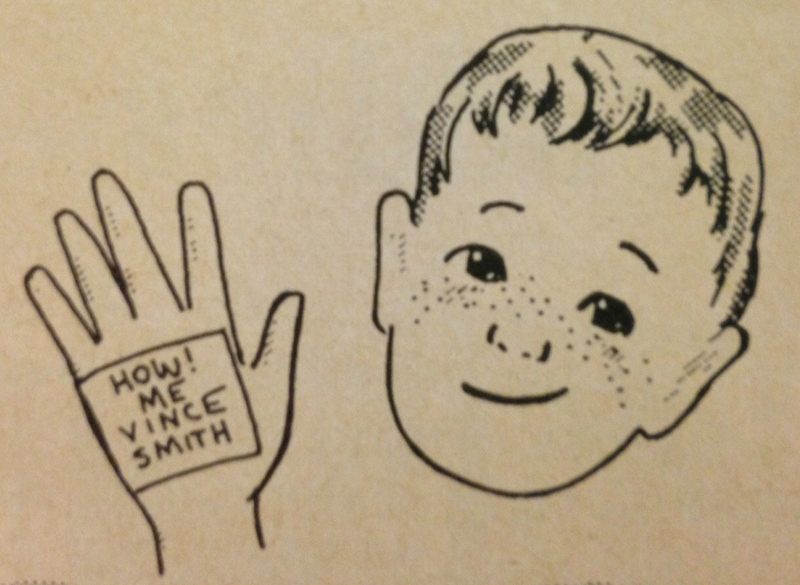 For a "novel" name tag during back-to-school week, Pack-o-Fun suggested that you could put a piece of wide adhesive tape on your palm and write "How! Me (person's name)" on it. That way, a kid could greet someone and let them know his name at the same time! It's frankly amazing that this idea never caught on. 4. Hidden deep in The Craft Mart (classified advertisements) is this gem: "POTATO SALAD RECIPE, always first to go at any Pot Luck, 25c coin, self addressed stamped envelope. Christy's, Box 1239, Santa Cruz, California 95060." Do you think it's too late to send for this? 1. The previous Pack-o-Fun issue featured here was from November 1970, just two issues after this one. It's entirely a coincidence. I came across these two issues in different years and in different places. 2. As judged by me, of course. 3. 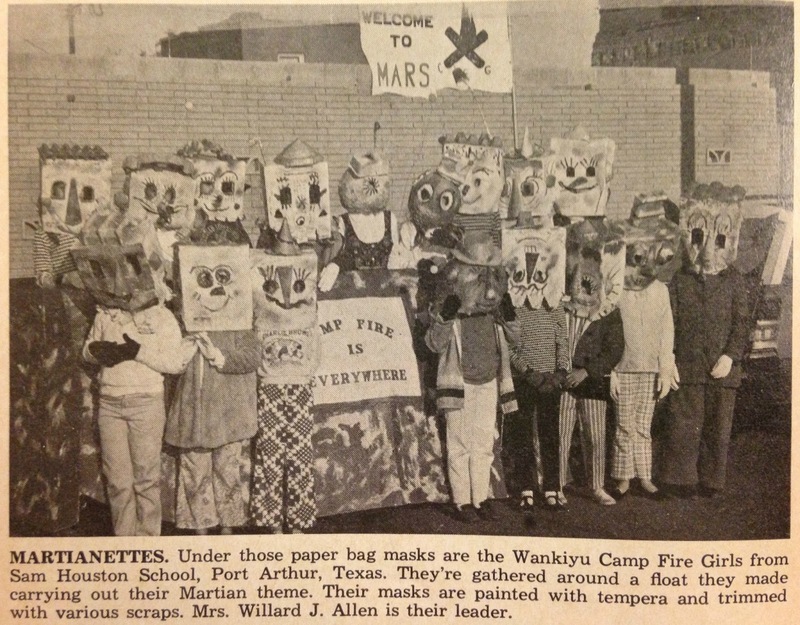 I'm not sure what it was about the early 1970s and weeds. Remember the Weed Christmas Tree?